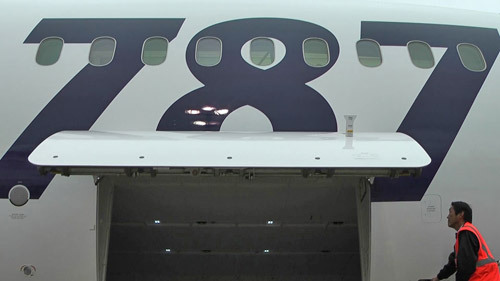 After a series of incidents involving the Boeing 787 during the past months, that include electrical faults in flight, APU battery fire in a parked 787, fuel leaks, engine malfunction that caused a grass fire, engine corrosion, brake problems and a cracked cockpit window, the FAA (Federal Aviation Administration) today announced that they will conduct a comprehensive review of the Boeing 787 critical systems, including the design, manufacture and assembly. The purpose of the review is to validate the work conducted during the certification process and further ensure that the aircraft meets the FAA’s high level of safety. A team of FAA and Boeing engineers and inspectors will conduct this joint review, with an emphasis on the aircraft’s electrical power and distribution system. The review will also examine how the electrical and mechanical systems interact with each other. The review will be structured to provide a broader view of design, manufacturing and assembly and will not focus exclusively on individual events. The review is expected to begin in Seattle, but may expand to other locations over the course of several months. FAA technical experts logged 200,000 hours of work during the 787 type certification and flew on numerous test flights. The FAA reviews 787 in-service events as part of our continued operational safety process. United Airlines is currently the only U.S. airline operating the 787, with six airplanes in service. The worldwide in-service fleet includes 50 aircraft operated by All Nippon Airways (ANA), Japan Airlines (JAL), Ethiopian Airlines, Air India, LAN Airlines, Qatar Airways and LOT Polish Airlines. Shortly after delivery of the first aircraft to ANA, the airline reported problems with the landing gear and malfunction of the flaps system. In March 2012, Boeing had to slow deliveries because the sheets of composite materials that make up the fuselage were separating.